If you are on WordPress, you might be using any one of the following two methods to install plugins to your blog. 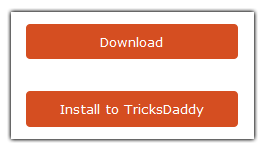 First download the plugin and upload it via FTP and then activate it. Install plugin from your dashboard via Add New plugin interface. But now here is a much easier way to install WordPress plugins. Now there is no need to download or go to plugin interface page as you can install the plugins directly from wordpress.org in one click. First install wordpress.org one-click install plugin to your blog and activate it. If you are not able to use the Greasemonkey script, you can use bookmarklet instead from plugin page. From now onwards you can install plugins directly from WordPress.org in one-click. I guess you get this feature by default on every WordPress blog (version 2.5 or above). There is no need to install any separate plugin for this. You can search for all WordPress plugins there and install them in just three clicks (search – select – install). And also it provides you the freedom of uploading plugins from your computer and installing on your blog. There is no need of FTP clients in this process as well. If you read the post clearly, I’ve mentioned your method in the 2nd step. But this method will directly install plugins from wordpress.org page without searching for plugins and without opening dashboard page. Its one-click method. Thanks for posting, I truly liked your newest post. I think you should post more frequently, you evidently have natural ability for blogging! I have read your 2 methods, but I still like installing and searching via my admin panel. I do understand what this plugin does, but this would just fit a few and not all. Still a great idea. I just shared the method, hope it would be helpful for some. Hey it is a really good info.It will definitely ease my work. Hey, Nice find out. I didn’t knew about this. It can save lot of time for me as I constantly keep playing with plugins. Thanks for the info. Cool! Nice method using greasemonkey in firefox! Curious Little PersonÂ´s last blog post..How to Fish for Post Ideas!